Are you planning on having vegetable salad with romaine lettuce as a side dish for dinner tonight? Forget about it. Romaine lettuce is to be shunned, according to a warning from the Centers for Disease Control and Prevention (CDC). Apparently, the lettuce is responsible for a recent outbreak of E. coli, in specific, Shiga toxin-producing Escherichia coli (STEC) O157:H7. 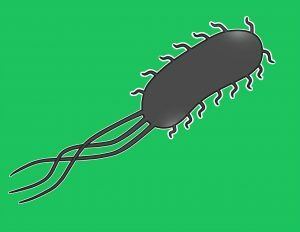 The E. coli infection has so far sent 13 people to the hospital in the U.S. since October 8, 2018. The infected people are between seven-years-of-age to 84. So all ages are at risk of getting infected. In terms of gender difference, the majority of cases reported have been females (66%). A total of 32 cases have been reported across 11 states, three of them from New Jersey! The state hit hardest, though, is California, leading in first place with 10 ill people affected. The bacteria didn’t limit itself to U.S. territory, however. Across the border, Canada reported another 18 cases. The onset of symptoms usually takes place within two to eight days of swallowing the germ. And people usually report it between two to three weeks in, on average. According to the Mayo Clinic, the current strand (E. Coli O157:H7) can cause nausea; vomiting; diarrhea; and abdominal pain or a feeling of abdominal tenderness or cramping. The CDC warns that the infection can also cause hemolytic uremic syndrome (HUS), a form of kidney failure. The most important thing you can do to stay safe is to not eat romaine lettuce until things are under control. Additionally, the CDC suggests you sanitize your refrigerator shelf that came into contact with the lettuce. You should also discard any romaine lettuce you have even if you ate it and didn’t get sick. Another precaution is to avoid antibiotics. There isn’t proof that it helps treat E. Coli O157:H7 and it might even increase the risk of kidney failure. So stay safe and skip the romaine lettuce in tonight’s salad.